Comtest Wireless provides Network Rail and Siemens with proven drive test equipment and powerful software solution. 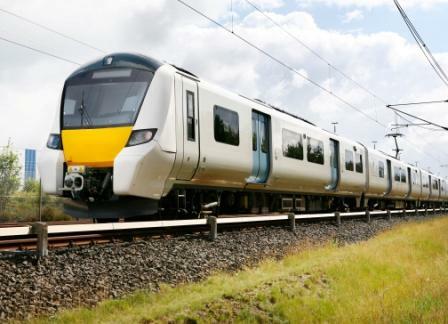 Comtest Wireless, independent experts in the field of GSM-R and ERTMS network test and monitoring solutions announces that its exclusive UK partner has been chosen to supply active testing solutions for the Thameslink programme. Since 2009, Comtest Wireless has equipped a fleet of Network Rail trains with hardware and software to conduct active testing of the GSM-R networks along the track. As a result of this proven solution, Comtest Wireless was asked to supply a portable active testing solution as part of the Thameslink programme at the end of 2014.The solution specifications require portable equipment to be installed on passenger trains, enabling the kit to be used and transferred between the trains depending on when and where they are needed. Carlo Ughetti at Comtest Wireless says “We are delighted to be part of such a key programme for both Network Rail and Siemens though our exclusive UK partner. Earlier this year, the team who will be using the active testing solutions received training over a two week period as part of the installation, and they have now begun the pre-testing phase using trolleys that can be placed on to the passenger trains. The equipment is easy to use and comes with a battery pack that gives it an eight hour life so it can collect a great deal of data before it needs charging. Neil Dayment, Project Manager at Siemens plc, adds “Siemens mobile communications team has been working closely with Network Rail to ensure a robust and reliable communications network is available to support 24 trains per hour (tph) operation in the core Thameslink area, meeting the critical requirements of both the ETCS and voice communications systems. Following our work on the new Canal Tunnels, we have now completed the analysis and system design stage for the St Pancras to Blackfriars Tunnel. Featuring Victorian infrastructure, the tunnel already has GSM-R infrastructure, but it was designed for voice communications only whereas the ETCS requirement is much more demanding. In particular, the communications infrastructure will have dual base stations capable of supporting the required capacity necessary for ETCS with 24 tph operation whilst guarding against base station failure. Our team is now moving from the design phase of the programme to testing, with work being undertaken at the Thameslink Systems Integration lab to prove the dual architecture and optimise the network parameters. We will also be testing GSM-R network coverage using the Comtest on train test equipment”.